There is nothing certain about the future of the political institutions at Stormont. They may or may not be restored. What makes the task all the more difficult are the events of this weekend a year ago and what followed over the next few days through to February 14th. On this weekend in 2018, I reported on this website the “ballpark” of what was emerging within a tortuous and protracted negotiation, including three Acts – Irish Language, Ulster Scots and a composite Act covering culture and respect. Arlene Foster would be First Minister. In the event of a resignation at the top of the Executive, there would be a longer period of some months to resolve differences. 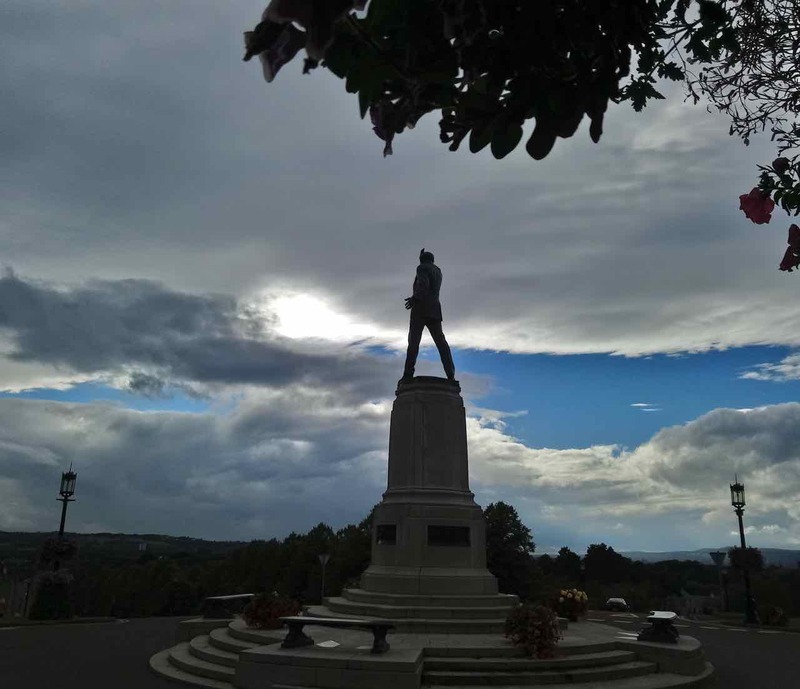 Marriage equality would involve a private members’ Bill, there was talk of a review of the petition of concern and, separately, Sinn Fein was in a negotiation with the Northern Ireland Office on legacy. There were new signs of life on the political hill – a different mood of seriousness and substance in relation to the negotiations. All of this was evident at Parliament Buildings on February 9th 2018. Twenty-four hours earlier, an upbeat assessment of the negotiations had emerged, now widely believed to have been the result of a DUP briefing from inside its negotiation team. The deal had not yet been done, but it was very close. What became clear very quickly however were the concerns inside the DUP over what was emerging. In other words, don’t pretend that there is not a stand-alone Irish Language Act: “That wouldn’t survive five seconds on Nolan [the Nolan Show on Radio Ulster],” the MP told me. Then, on Monday February 12th 2018, in the Great Hall at Stormont, one of the DUP’s most-senior MLAs approached me asking for detail on the negotiation. It was clear that many in the party were not across developments. Outside the party, concern was encapsulated within one thought: “The mice could still get at it” – meaning this advanced draft agreement could still unravel. It is exactly what happened. None of the above is going to happen – an immediate restoration of the Executive or talks without Sinn Fein. It ignores what happened in this February period a year ago. Not only did the DUP collapse the negotiations, but the party denied any agreement. The fallout from then will mean new questions for the DUP before any new negotiation. – Who is the negotiation team representing? – What is its negotiation mandate? – Does it have the authority to negotiate and, then, actually deliver an agreement? 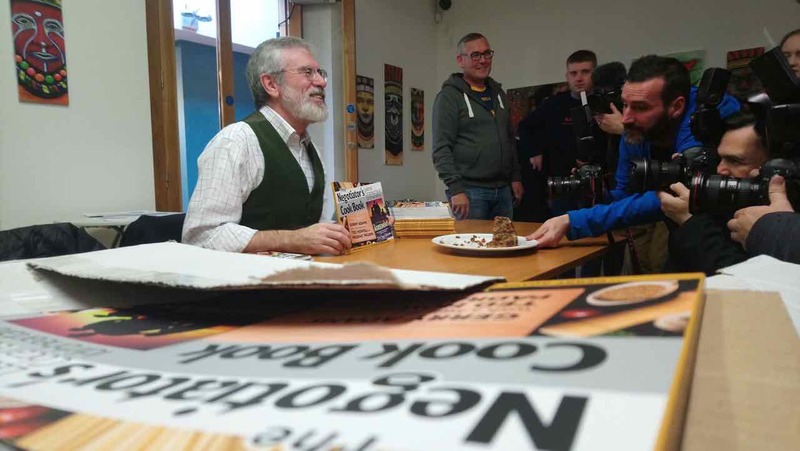 Gerry Adams has since published the Negotiator’s Cook Book, but with no recipe for a restored Stormont. In the here and now, there is no prospect of serious negotiations, not before the May local government elections and not before there is a settled position on Brexit and not before publication of the RHI Report. LEGACY PROCESS – MORE CONSULTATION? Nor is there any clear position on next steps following the recent consultation on the proposed legacy process, including an Historical Investigations Unit (HIU), Independent Commission on Information Retrieval (ICIR), Oral History Archive and reconciliation. Indeed, from a number of sources who have had recent conversations with the Northern Ireland Office legacy official Chris Flatt, there is the suggestion of yet further discussion with the parties and possible further consultation with the public. “It’s quite clear that the HIU in particular does not have the support of the people within the whole of the United Kingdom and, therefore, there needs to be a major re-think,” Ulster Unionist MLA Doug Beattie told this website. “If there is going to be any further consultation, all the government will end up doing is kicking the can further and further down the road,” he said. There will be no new government here until outstanding matters are resolved – no magic-wand solution of an immediate restoration of the Assembly and Executive as if the past two years represented some blip. The challenge in the here and now is convincing people that Stormont has a purpose – that it is worth the effort of another negotiation. The starting point will be that February Draft Agreement of last year that in itself may not be good enough one year on. The bar may well be higher. There is clearly no Nationalist appetite whatsoever for a return to Stormont ground-hog day. Brexit has changed the entire dynamic. All-island thinking is required. Stormont is a dead duck! As already stated by the British Prime minister the £39 billion has to be paid to the EU deal or no deal. Just one of the the many inaccuracies in your comment.